If a getaway to a AAA Four-Diamond beachfront golf and spa resort in Southwest Florida sounds appealing, consider heading to The Naples Beach Hotel and Golf Club. Set on the pristine white-sand beaches of the Gulf of Mexico, the 125-acre resort is Southwest Florida’s only beachfront resort with a championship golf course, a world-class spa, and an award-winning tennis center, all on-site. Enhancements over the last six years include renovation of its 319 guest rooms and suites, expansion and renovation of its waterfront restaurant HB’s on the Gulf and its popular The Sunset Beach Bar & Grill, enhancements to the golf course, and the addition (in 2010) of a beautiful new beachfront pool complex with two pools, two whirlpools, and a pool bar with food service. Want more reason to visit? The resort is offering the 3rd night free through September 30, 2014, based on availability. For holiday weekends the resort is offering the 4th night free. “Summer is a great time to visit Naples for a relaxing getaway,” said Jason Parsons, general manager of the family-owned resort. “Our white-sand beach is just beautiful, and there is something to please almost anyone. Whether you want to relax on the beach or by one of the pools, enjoy a service at the world-class spa, golf on the championship course, play tennis, shop at Naples’ famous shopping districts just blocks away, or watch a breathtaking sunset, you have it all at The Naples Beach Hotel & Golf Club,” Parsons says. 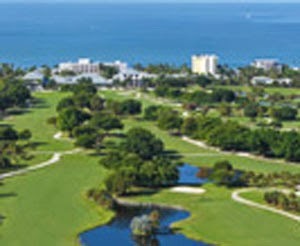 Rich in hospitality and tradition, The Naples Beach Hotel & Golf Club has resided on the Southwest coast in Naples since 1946. Owned and operated by the Watkins family for three generations, the resort features also include Beach Kids Club, a complimentary daily recreational program for children ages five to 12; an Orchid House, home to over 3,000 tropical plants; retail shops, and multiple restaurants and lounges. The Sunset Beach Bar & Grill is consistently named “Best Place To View a Southwest Florida Sunset,” and was named “Naples’ Best Beach Bar” by Travel Channel. While in the area, consider taking tours of the Everglades, Naples Zoo at Caribbean Gardens, Corkscrew Swamp, The Botanical Gardens, or the Conservancy Nature Center. Boat and fishing trips also can be arranged at the hotel. Visitors may also wish to visit museums, theatres, and art galleries in Naples. There are no resort fees, and guests enjoy complimentary self and valet parking. The resort is located at 851 Gulf Shore Blvd. North in Naples, Florida. www.NaplesBeachHotel.com Call 800-237-7600 for reservations.